Working as a medical transcriptionist (MT) is very popular for those looking for work flexibility, since much of the work can be conducted from home.If you are interested in becoming a medical transcriptionist, below are the requirements for the job. Medical transcription training is available for those who recently decided to pursue a MT career, but it is also available to those who wish to continue to develop their MT education and skills. Many websites offer online training courses and tutorials that you can participate in from the comfort of your own home. In addition, numerous colleges, community colleges, universities, and vocational schools offer medical transcription classes and training. Medical transcription is a profession that encompasses technology, grammar, spelling, writing, and medical terminology. These are areas of study that are constantly changing, so staying up-to-date on the latest skills and methods is essential. For newcomers to the profession, it may be beneficial to participate in an internship or practicum shadowing an established medical transcriptionist. Being a certified MT is not necessary to obtain a job as a medical transcriptionist. MT's typically make a personal choice as to whether they would like to become certified or not. The only formal educational requirement to become a medical transcriptionist is a high school diploma. The Association for Healthcare Documentation Integrity (AHDI) offers testing to become a Certified Medical Transcriptionist (CMT), or a Registered Medical Transcriptionist (RMT). Many believe that obtaining certifications like these will lead to better business opportunities. However, choosing not to become certified or registered does not mean that your skill set is less valued in comparison to someone with a few extra letters after their name. Many hospitals, healthcare facilities, and physicians in private practice allow MT's to telecommute and have home based medical transcription jobs. If you are interested in a home based medical transcription job, and you currently have a position as an MT, you may consider talking to your employer about any telecommuting opportunities available. If you are just beginning a career as an MT, but want to have a home based position, several websites and online databases list job resources and openings for medical transcriptionists. 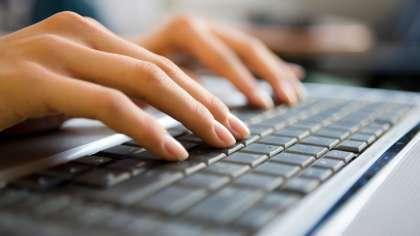 Medical transcription is a fast-growing field that is very popular among home based workers. As with any other profession, certain requirements must be met in order to secure a job as an MT. Requirements include specific skills and abilities, and educational and training requirements. Many MT's also make the personal choice to become certified or registered medical transcriptionists or to establish themselves as home based MT's.